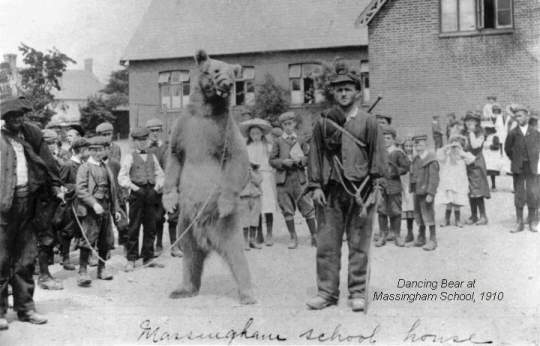 Dancing bear at Massingham school, 1910. 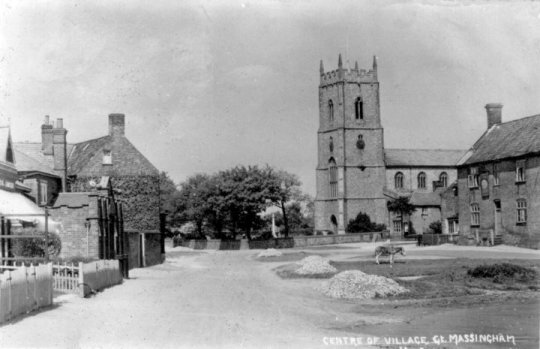 The Massingham Historical Society was set up in 1997 and is concerned with creating a historical archive of life in the villages of Great and Little Massingham for future generations. The collection contains a wide variety of items from property deeds to videos to maps and welcomes donations. Research to supplement these items and the villages’ history is carried out in local libraries. A recent addition to the collection was the historical records from the RAF’s wartime years spent in the villages. The “Sister Laurence RAF Massingham Museum,” contains photographs and memorabilia, including RAF material, to provide a comprehensive picture of the airfield’s use during World War II. The society is currently in the process of collecting oral recollections from current and former residents.